The Lord God said, “It is not good for the man to be alone. I will make a helper suitable for him.” Now the Lord God had formed out of the ground all the beasts of the field and all the birds of the air. He brought them to the man to see what he would name them; and whatever the man called each living creature, that was its name. So the man gave names to all the livestock, the birds of the air and all the beasts of the field. But for Adam no suitable helper was found. So the Lord God caused the man to fall into a deep sleep; and while he was sleeping, he took one of the man’s ribs and closed up the place with flesh. Then the Lord God made a woman from the rib he had taken out of the man, and he brought her to the man. The man said, “This is now bone of my bones and flesh of my flesh; she shall be called woman, for she was taken out of man.” For this reason a man will leave his father and mother and be united to his wife, and they will become one flesh. The man and his wife were both naked and they felt no shame. 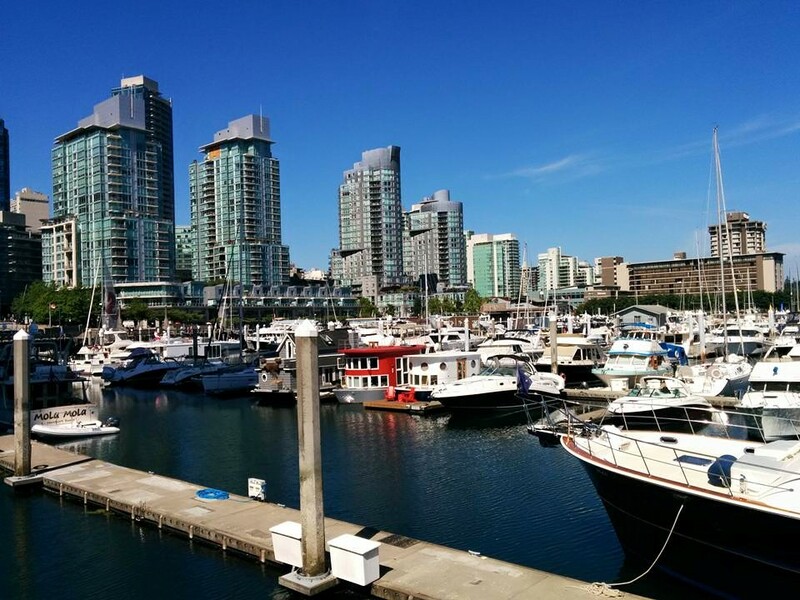 photo credit: Kathi – Vancouver, B.C. Thanks, Kathi, for today’s beautiful photo and SSB Sunday Gathering. Thanks again for knitting those purple ribbons in honor of Domestic Violence Awareness/Prevention month, offering them to folks here, and sending me one which I have been wearing. Off topic…but fun. A wonderful, educational program with Wynton Marsalis and Jon Batiste called “The Genius of Jazz” at The Aspen Institute where they explain its history and demonstrate. About 1-hour. Thanks, Kathi, for putting today’s post together. I especially appreciate the focus on Domestic Violence awareness. There is definitely a spiritual abuse component to domestic violence. Sadly it doesn’t get talked about much. Sometime I’ve got to write my story out. I didn’t even realize I was living with domestic abuse until last year, after twenty-plus years of relationship and marriage. It was very subtle, and I think because of that, probably highly relatable for a lot of women, especially in the evangelical church. Uncomfortably so, most likely. One of the things I lost in my decades of abuse was my voice. Writing is how I exercise it, and I’m finding it next to impossible to get it started again. I’m desperate to, though. 3 hours and 19 minutes of soothing Bossa Nova Jazz Instrumentals to listen to this week if you need a little calm. I am sure I wrote a comment yesterday, where it went, only the Lord knows. Thank you, Kathi for remembering those of us who have been through Domestic Violence and further abused by those who claim authority over the church. What so many forget is that the flock in turn also has authority over them, IF the flock will only take that authority. Just as Jesus submissively was under the authority of the Father and the Father gave Jesus authority above all names, so the flock has authority over the pastor/teacher. Notice I use a small “p”. He/she does not have a title. Thank you God and those who took the scales from my eyes of who a pastor really is. He/she has an obligation to teach truth and be called on it when they don’t, by God and the flock. They can and should be fired when deviating from the truth. What great music there is here today and the additional music added. Dash so true, There’ll be days like this……..and so many of them. Love you all.